Nick here: In this new series we will be introducing you to geektastic scholars from around the world. Know someone you think we should feature? Drop us a line! I’ve done a little bit of everything over the years I suppose. RPGs, comic books, Legos, and video games being the biggest ones. Primarily I play video games now. As you get older and move a lot it gets harder to find other folks to Role Play with and I miss that. I will pick up graphic novels now and again. And of course I watch a lot of movies. Also I still love pro wrestling. Shout out to CHIKARA Pro. And I ride a Vespa. 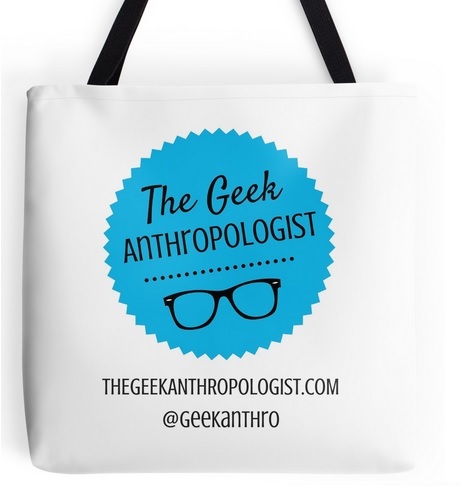 How does your geekiness influence the way you do scholarship? Mainly in the choice of topics that I study. I love video games and would play video games even if I hadn’t turned it in to a large part of my academic life. I also do scholarship on pro wrestling. So mainly what happens is I’ll be playing some game and will notice some aspect that just speaks to me as a scholar and decide to run with it as a topic of study. In addition to that I get to teach a class on video gaming and that’s pretty fun. How does your scholarly work influence the way you enjoy geek culture? Primarily that I get to do conferences with other geek academics and then they turn me on to things I might not known about. So if I attend a talk where someone is discussing a game or a movie I often know that I’ll need to check it out. Also when you hang out with geeks you never know when a quick D&D session might break out. So if nothing else, this is definitely a good reason to get your work in to conferences. Make connections and find good people to hang with. I don’t know if I hate this question or not. Just because it is such a potentially contentious term that if I define it in a way that someone else doesn’t agree with then it is way too easy to read it as a critique. Maybe I should just fall back on the Potter Stewart argument that “I know it when I see it.” Is that a sufficient answer for a non-answer? What is the importance of studying geek culture? Even if geek culture wasn’t currently so mainstream now that there is a great deal of blurring between “geek” and “non-geek”, then it is still important because by studying the artifacts that create culture we learn so much about what a culture values and learns. Media dominates what we know and think and increasingly a big part of that media is created out of geek elements. How do you see notions of authenticity playing out in geek culture? Too often as a barrier to entry. I think there is an element where a lot of folks feel or felt, rightly or wrongly, that there were marginalized for their enjoyment of things that were geeky. So sometimes they then turn around and try to bar entry for those that come after them. Maybe it’s because I’m getting older or something but at this point I’d rather see more people embracing the positive elements of geek culture rather than trying to test people’s allegiance to it. Share it. Don’t keep it to yourself. Do you make a distinction between geek and nerd? What is that distinction for you? I suppose if there is a difference it might be an element of consumerism. Like you can be a nerd for things like dinosaurs or astronomy and that just signals a healthy but extreme fascination with them. But being a geek for a thing seems like it involves a greater element of owning elements of that thing. Geeks buy accessories. Not to say there aren’t dinosaur nerds with a lot of T-shirts and models of dinosaurs. What’s the geekiest joke you know? I know, not a traditional joke. But if you can’t laugh at the idea of Bane doing laundry or filing his taxes then you just don’t know comedy. I don’t have a favorite. I appreciate the unique elements that everyone has brought to the role. But if I wanted to start a fight I’d go with Captain Pike. Julie Newmar as Catwoman. I will go to war over this choice. Thought I will admit that the damn Space Raccoon made me cry. What would happen in a fight between Batman and Wolverine? After a brief exchange that saw both of them having moments of success, they’d figure out who set them up to fight and then team up to go after the true villain. Which is your favorite D&D creature? 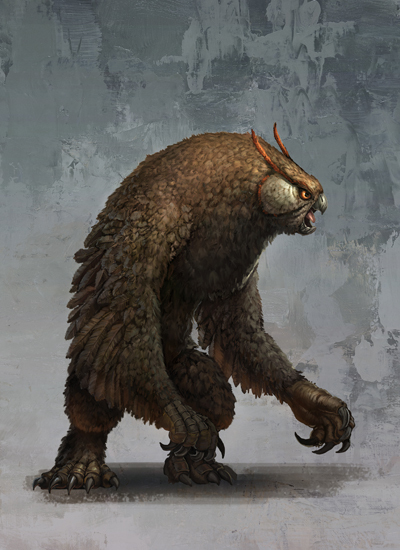 Owlbear. Because it is an owl and a bear. And that is awesome. On the other hand, any GM that included a Rust Monster in their dungeon secretly hates their players. Which is your favorite D&D setting? The one created by my friend and former GM Dalton. Because that is the one I adventured in for a very long time. Often at a given moment it is based upon what I am playing. And I keep staring at my game collection and changing my mind. Raz from Psychonauts? Sackboy? Fran from Final Fantasy XII? FemShep? Ashley Riot? I will admit that in my personal headcanon, every Khajiit I play in Elder Scrolls is a descendant of my character from the previous game. Which is the best Doctor? Doctor Doom. Magic/Science/Hatred for the accursed Richards. Plus he wears a mini skirt over armor and straight up doesn’t care.